Clearly, I am, because I think this is neat. I tacked this pen onto a recent Amazon order. It was only $5 and I decided to take a shot. The pen is made in China and is actually shipped from there when ordered thru Amazon. It arrived within 14 days of order. It is nice and writes very smoothly, with a nice nib and easy stroke. There is no dragging or scratching. The pen looks nice and is only betrayed by its cheap and thin clip. I suspect the clip will break sooner or later. This is a nice fountain pen to carry around without worrying that you’ll lose it. I am using Aurora Blue ink in it, which it handles very well. Fountain pens are the way to go. This being the internet, there are blogs about everything, including pens. Here is one I stumbled across. Picked up a new pen last week. It is a refillable fountain pen style rollerball by Monteverde. You can see the pen here. As I have learned, not everyone knows how to use a fountain pen and I don’t want to hand one to someone without knowing. With this pen I can have a pen handy that I can hand someone if they ask and not worry about it being damaged. I got it in bright yellow so I won’t lose track of it. As I’ve said before I like fountain pens. My favorite is my Montblanc LeGrand. No149. While I was in China I took the opportunity to pick up several pens. The Chinese make some very good pens and they are pretty inexpensive. 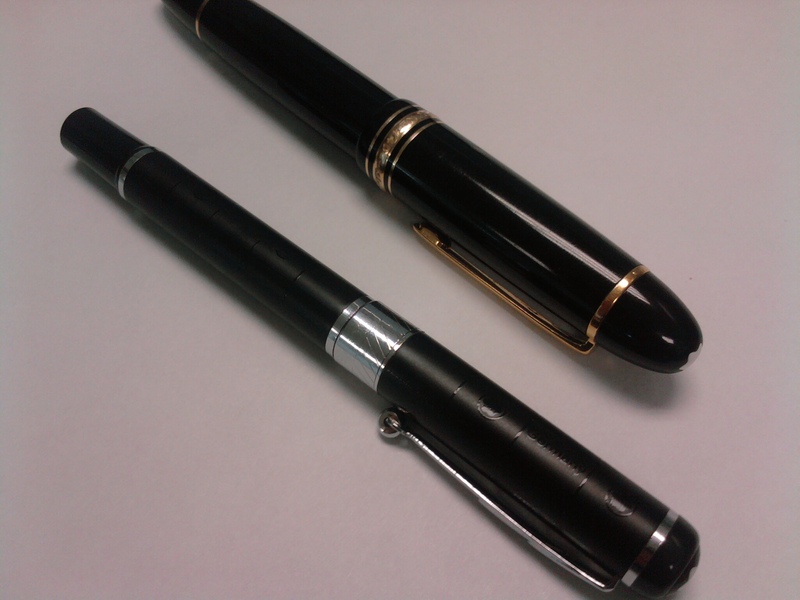 One of the pens I picked up this time is a fake Montblanc. In the photo below, the real Le Grand is on the right and the fake I bought is on the left. 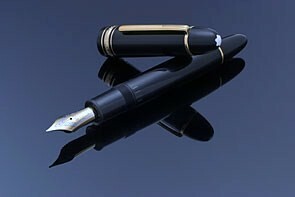 I’ve looked at the Montblanc website and the fake doesn’t imitate or look like any real Montblanc pen. However, the pen writes well and only cost about $6.